Ensuring that you have convenient and timely access to competitively priced medications is an important aspect of our veterinary practice. Sachem Animal Hospital and Wellness Center offers an in-house pharmacy as well as an online pharmacy resource. Our in-house pharmacy ensures that your pet will receive precisely the right medication at precisely the right dose. We're also available to show you how to administer the medication and monitor its degree of effectiveness. Our in-house pharmacy has a complete inventory of pharmaceuticals, vitamins, shampoos, flea and tick control products, and heartworm preventives. We also carry Royal Canin and Hill's prescription diets. At Sachem Animal Hospital and Wellness Center, many of our clients have reported happy reunions with their pets thanks to their decision to provide their pets with permanent microchip identification. One cat was returned home after being lost for two years! Studies have shown that more than 10 million pets get lost each year and about 90 percent would not be reunited with their owner unless they had some form of permanent lost pet identification. This is why the medical team at Sachem Animal Hospital and Wellness Center views microchip lost pet IDs as a standard of protection for your pet. With a microchip, your pet can be identified quickly and easily by animal control officers, shelters or at veterinary hospitals. Microchips are safe, unalterable, and permanent identification for pets. The entire implant procedure takes less than 10 seconds. 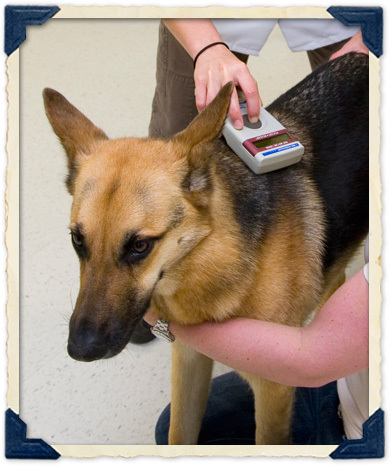 We use the HomeAgain microchip system. The HomeAgain system uses microchips that register the animal with a unique identification number that is filed in a database with important contact information. HomeAgain uses technology that is standardized around the world so that your pet's microchip can be read at shelters in a number of countries and the information can be updated anytime. HomeAgain membership also offers benefits such as proactive pet recovery and free access to ASPCA Poison Control. HomeAgain also comes with a number of very useful services to pet owners such as their National Pet Recovery Database, Lost Pet Specialists, Rapid Lost Pet Alerts, Lost Pet Medical Insurance, Travel Assistance for Found Pets, and more. Euthanasia and tending to your pet's remains are two of the most difficult issues for pet owners to consider. Asking the question means confronting fear, guilt, and grief. Euthanasia methods are designed to cause minimal pain and distress. Talk to a veterinarian or staff member at Sachem Animal Hospital and Wellness Center about pet euthanasia long before it becomes an issue. Find out about your options, including our crematory services, make some key decisions ahead of time, and ask us to add this information to your pet's record. Taking the time to plan, as challenging as it may be, will lessen the pain and discomfort for you and your pet in the event this option ever has to be considered. All of us at Sachem Animal Hospital and Wellness Center will do our best to help you prepare for these important issues with the compassion and sensitivity they require.